As January rolls around once again, I’m feeling the gluttonous feasting of Christmas past catch up with me; perhaps losing weight is not such a bad idea after all. Everyone is at it. The advertisements in my peripheral vision flash brightly, captivating my attention once more to join the local gym. Like most of us in the 21st century, we have become accustomed to a life of instant gratification; a quick-fix will do just fine. I turn towards the gatekeeper of quick and easily accessible knowledge – the internet – in a self-induced frenzy. I must be able to find something online. The internet has arguably become the world’s’ biggest source of medical information in the world, for crying out loud! We have become accustomed to a life of instant gratification. The pursuit of a new me, a better me, has become an obsession. Society has constructed the need for these panaceas for ill health; celebrities such as Jennifer Aniston and Gwyneth Paltrow swear by juice cleanses; if it is good enough for them, it must be good enough for me.The truth, however, is something different entirely. The idea of purification from the calorific sins of your past seems like a good idea in theory, but is mainly an archaic belief to purge the religious sins for purity. Replacing the word ‘sin’ with toxin, and the ritual a ‘detox’ leaves you with an empty wallet and an even emptier feeling of regret as you stand by the juice bar with a £7 carrot and mango smoothie, questioning why you ever decided to indulge in this cup of viscous orange hopelessness. This is the crux of the problem; we are being sold a treatment for a condition that does not exist. The ‘detox diet’ supposedly helps you to shed those pounds, but there is evidence to suggest that fasting and low-calorie diets lower the body’s natural rate of metabolism; once normal levels of eating, rapid weight gain usually follows. If that did not sway you, research has revealed that ‘laxative teas’ contributes to dehydration, the loss of electrolytes, and impairment of digestive functions. The detox diet is effectively creating a problem for you to solve – costly not only for your finances, but for your physiology as well. One of the main issues of detox solutions, is that not one product alludes to any specific toxins that they are claiming to heal the user from. This industry vaguely entertains the notion of ‘toxins’, ignoring the fundamental scientific truth in favour of making a quick dollar; there is currently no scientific evidence that backs up these spurious claims. The National Center for Complementary and Integrative Health explains that: ‘There isn’t any convincing evidence that detox or cleansing programmes actually remove toxins from your body or improve your health. Weight loss on a detox diet may be because these diets are often very low in calories.’ This is as relevant then as it is now. If only consumers were able to disseminate this information before sacrificing their health, and their dignity, to the fake-health machine. Laxative teas contributes to dehydration. So, what lessons can we learn from detox dieting? Firstly, your internal organs are hard at work ‘detoxing’ your system already. Like an angry colleague, it would be wise to leave them be. Detox diets give the impression that your health can be reduced to simple ideas like ‘toxins’, and it is this kind of misinformation that leads to confusion, and in some cases, can even lead to worse health than when you started. There is good news, and there is bad news. The bad news is that there are, rather unfortunately, no quick fixes to human physiology: a life of moderation (healthy eating, exercise, etc.) is recommended, and can naturally improve psychological functions. The good news is that by becoming aware of this, you are one step closer to becoming more empowered. You know the truth, and there is power in knowledge. Use it wisely. George Farmer is an MSc Cyberpsychology student at the University of Wolverhampton. George passionate about the critical evaluation of online resources, and information in general. 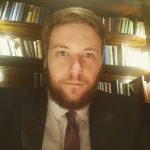 His research interests usually focus around the psychosocial benefits and disadvantages of video gaming, but he enjoys writing about a variety of elements of psychology, including (but not limited to) the awareness of pseudoscientific practices.